Something old, something new, something borrowed and something… purple? Cheryl and David followed this age old tradition when they tied the knot at their Architectural Artifacts Wedding in Chicago. 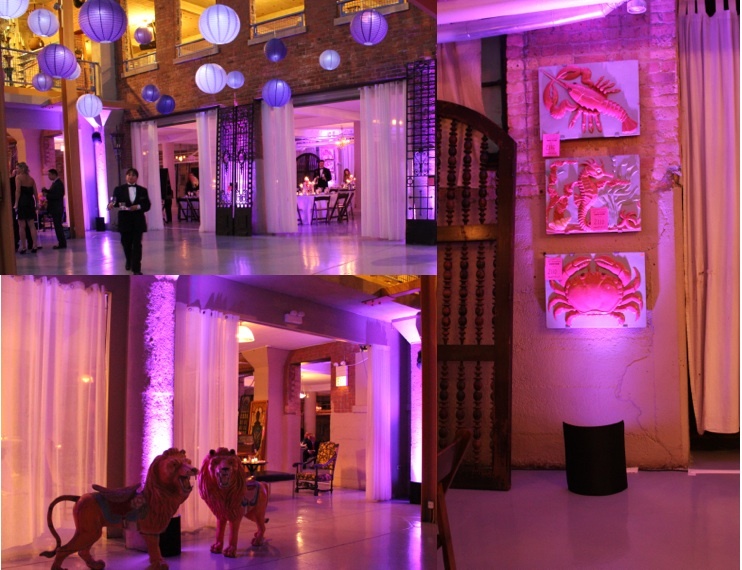 MDM Entertainment’s Chicago Wedding DJ, David O., helped this Bride and Groom turn the beautiful Architectural Artifacts venue into a purple gem with music for all ages. 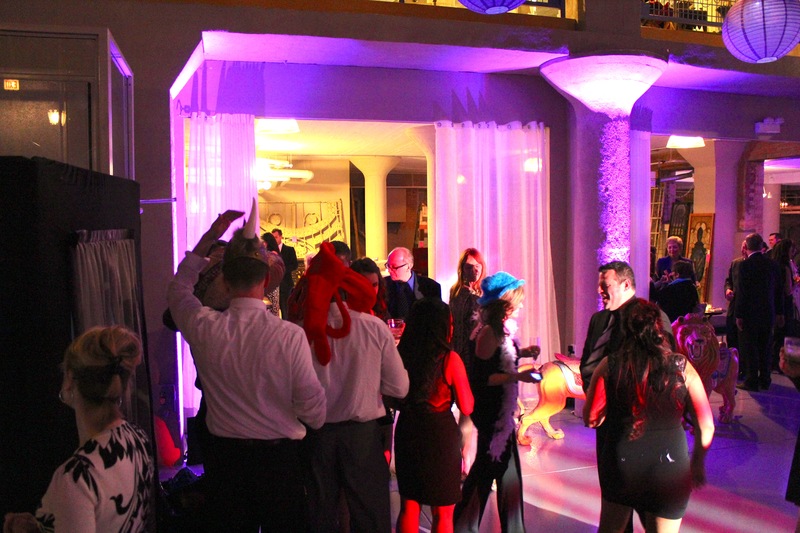 Architectural Artifacts Wedding is a gorgeous venue that set the stage for Cheryl and David’s modern ceremony and today’s dance music, while at the same time feeding into traditions and classic music, like Frank Sinatra. 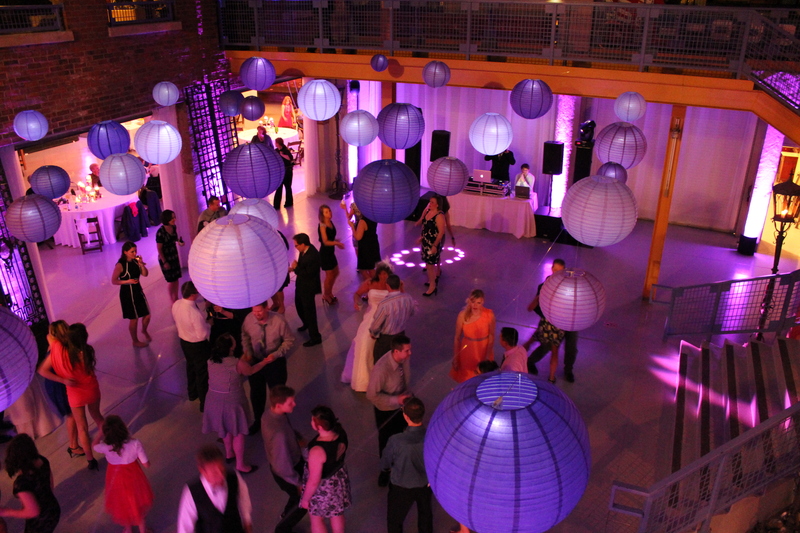 The vintage artifacts lit up beautifully with purple uplighting and the heated dance floor shined under the purple lanterns. 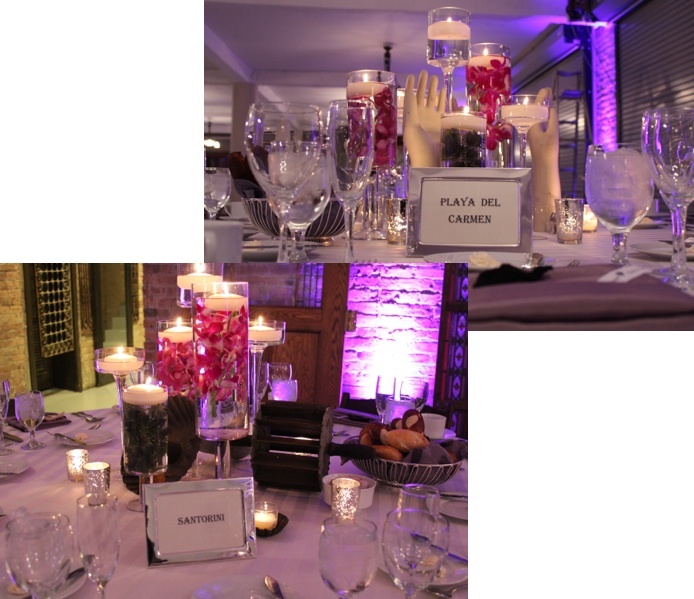 Some of the artifacts were even seen on the tables as centerpieces. The dinner tables were very distinctive because not only did they have vintage artifacts but also trendy mustache party favors and the table numbers being represented by places the Bride and Groom have visited. While vintage artifacts could be seen everywhere a modern flair was always close behind. 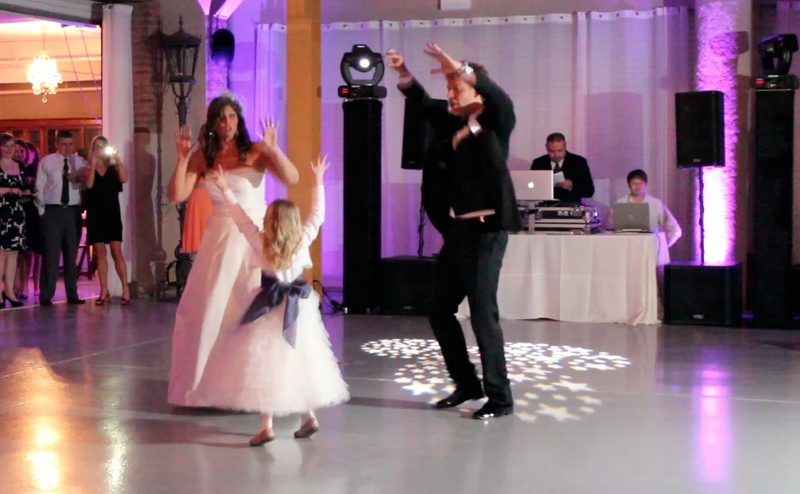 Bride Cheryl and her daughter shared a special dance to Nicki Minaj, “Starships” before welcoming the Groom in and opening the dance floor. 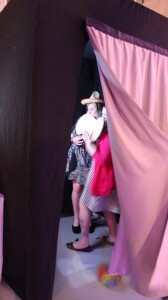 Going along with this modern twist Cheryl and David had a wedding photo booth. 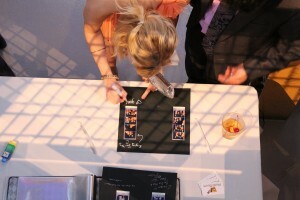 Their guests were given the chance to put on props, pose for snap shots and write cute messages to the bride and groom. Everyone visited the booth multiple times, each picture getting funnier by the minute. 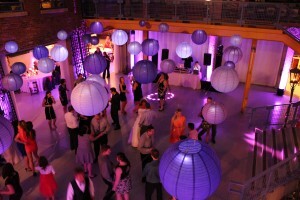 The modern yet vintage feel of Architectural Artifacts Wedding was wonderful. 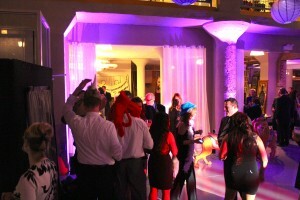 The venue set the stage for Angel Eyes photography, as each moment was saved in a wonderful photo. Also, Stefani Catering caught the vibe with their delicious food and dessert table. It was a beautiful night. Congrats Cheryl and David and thank you for including Photo Booth Express in your fun night.